Queen Elizabeth II has bestowed an honorary knighthood on Michael Bloomberg. 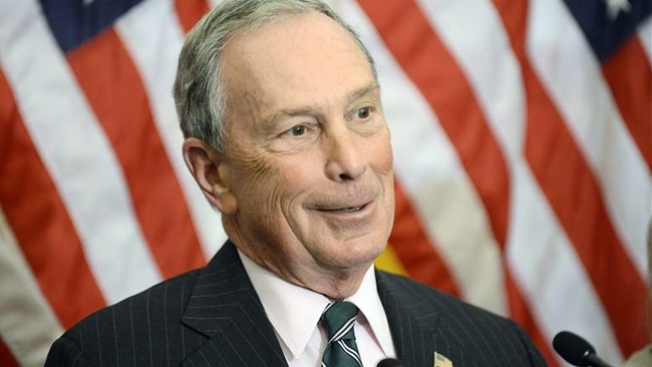 Michael Bloomberg is a knight — but he won't be Sir Mike. Queen Elizabeth II has bestowed an honorary knighthood on the billionaire businessman and former New York mayor. The British government said Monday that Bloomberg was made "an Honorary Knight of the Most Excellent Order of the British Empire" in recognition of his "prodigious entrepreneurial and philanthropic endeavors" and his work to strengthen trans-Atlantic ties. Bloomberg was New York's mayor from 2002 to 2013 and heads the news and financial information company Bloomberg LP. Because he is a U.S. citizen, Bloomberg won't be entitled to use the title "sir" before his name, but can use the initials "KBE" after it. Previous recipients of honorary knighthoods include director Steven Spielberg, Microsoft founder Bill Gates and actress-activist Angelina Jolie.